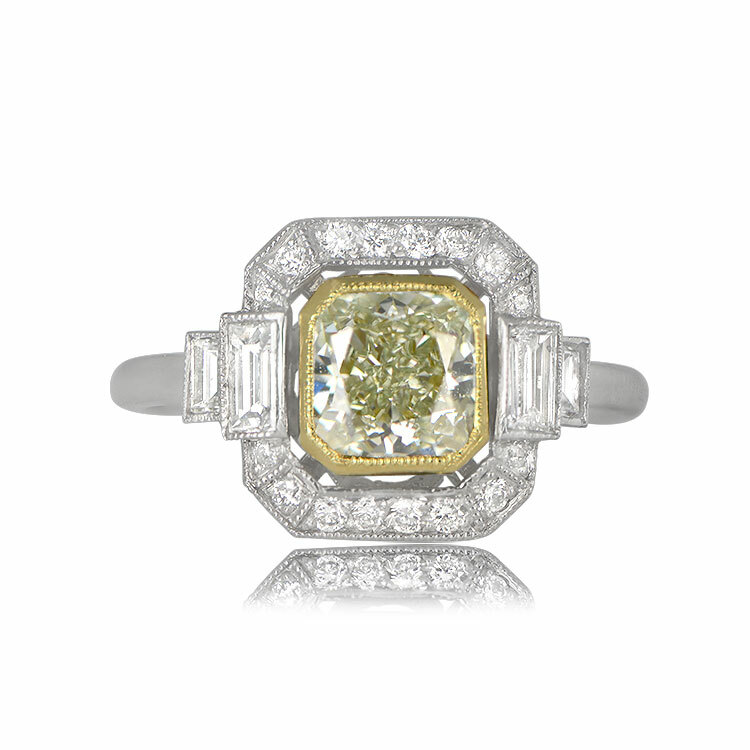 A rare colored diamond engagement ring that centers a GIA certified 1.15 carats Fancy Yellowish Green diamond and VS1 clarity. 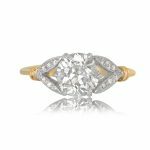 The center diamond is bezel set in 18k yellow gold and is further surrounded and blanked by white round and white baguette diamonds with a total approximate weight of 0.50 carats. 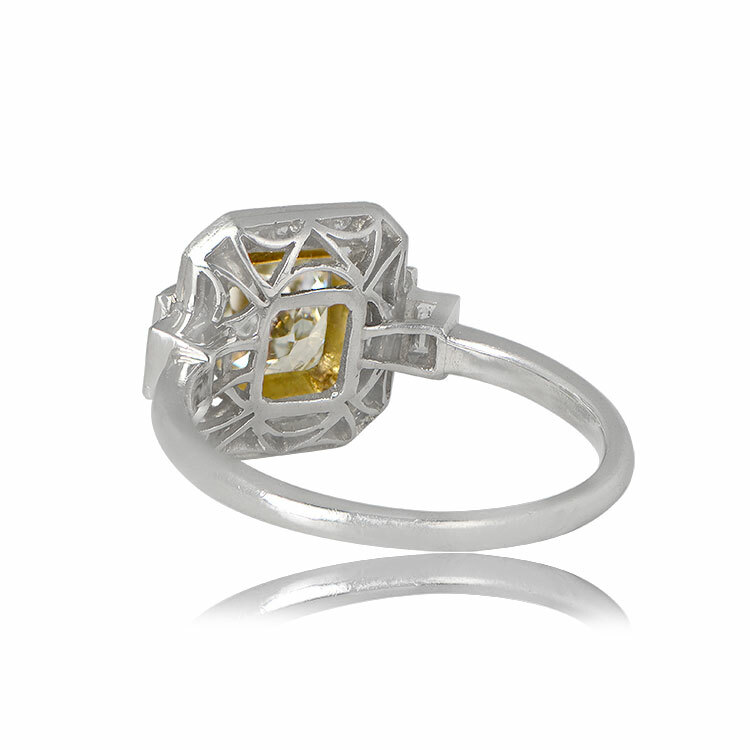 This ring is platinum and features a detailed under-gallery and has a low profile. 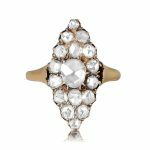 The center diamond of this ring is natural and is not enhanced in any-way or not color-enhanced by the mounting. 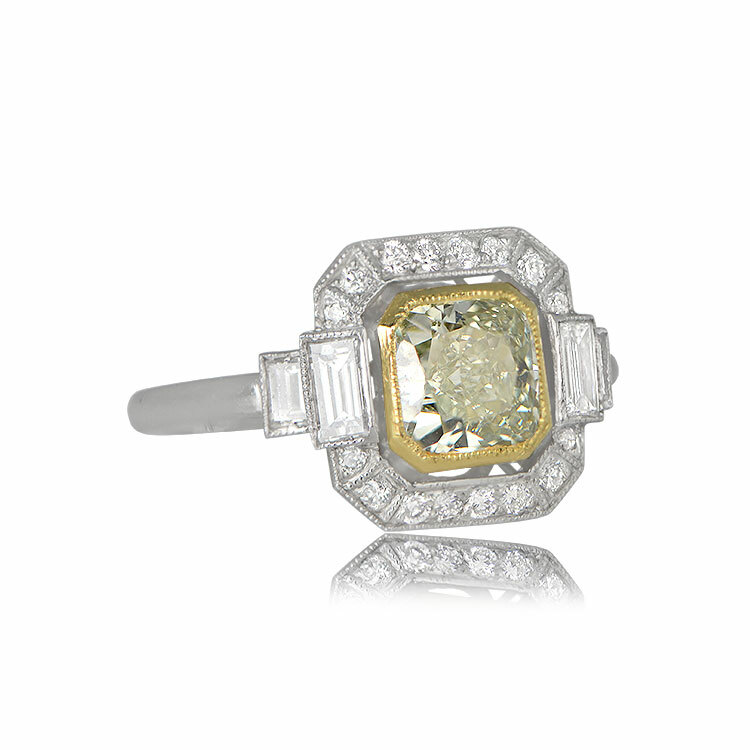 The color of this diamond is extremely rare in and shows a dominant green color. 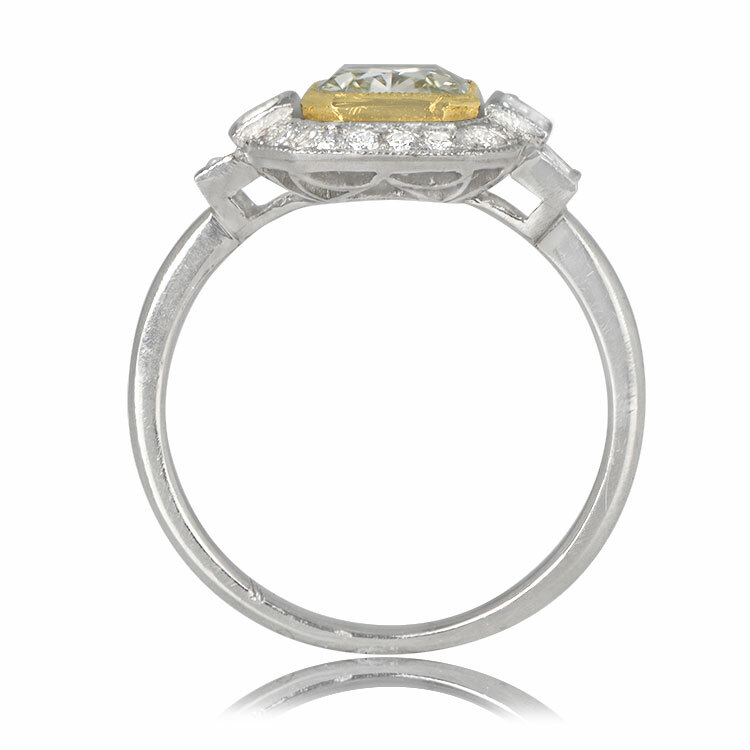 The known measurements of the center diamond is 6.03mm x 5.93mm x 3.71mm. 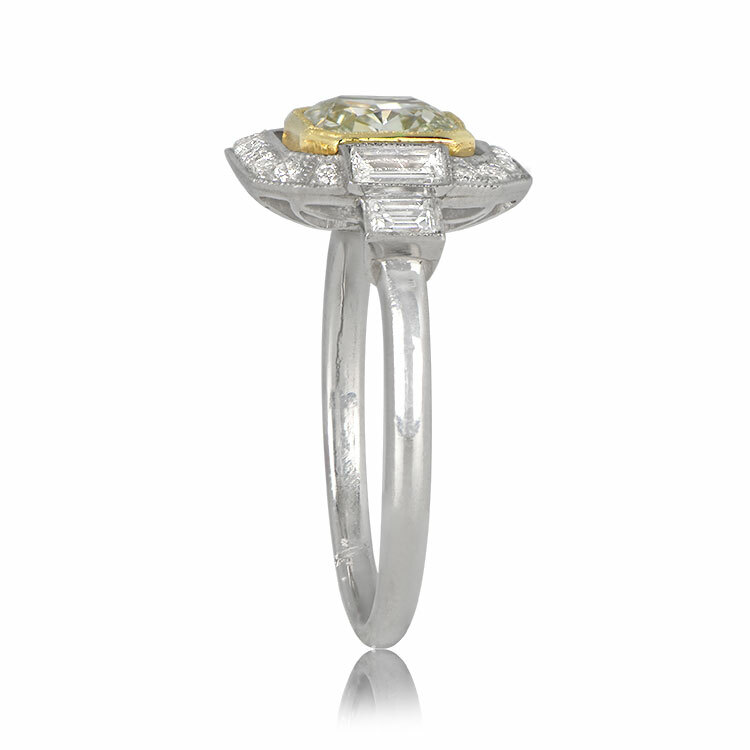 SKU: 11773 Categories: Fancy Diamond Rings, Vintage Engagement Rings - Contact us and request additional pictures.